2018 Vehicle Tech Features Study - Cox Automotive Inc.
Consumers are less willing to pay more for features like backup camera, Bluetooth, automatic headlights and keyless entry because they likely see these features as standard equipment. They may be willing to pay more for heated/ cooled seats, navigation, blind-spot monitoring, and autonomous features such as collision avoidance and warning systems, as premium options. Top sources where consumers learn about vehicle tech are at the dealership or while researching on third-party websites. The role of a product specialist who can explain/demonstrate tech features at the dealership is important for those who want an expert to educate them in-store. 53% of consumers would like to see innovations in safety tech in the next 3-5 years, so OEMs should strive to create awareness of ongoing new developments in vehicle safety technology. In-vehicle technology has significantly increased in importance to vehicle shoppers over the last four years. In fact, vehicle tech now ranks ahead of exterior styling when it comes to deciding which car to buy.1 The Vehicle Tech Features Study can help OEMs and dealers more effectively target in-market shoppers, close more sales and upsell tech features to new and existing customers. The data shows, for example, that in addition to popular Safety Tech features, OEMs and dealers should prominently promote Driver Aid & Connectivity Tech (e.g., navigation, Bluetooth, etc.) because consumers feel a strong need to stay connected and desire access to music and apps on their smartphones. The study also illustrates that consumers are willing to spend more on Safety Tech features with autonomous functionality, such as collision avoidance and warning systems, gives OEMs and dealers insight into which tech features are most valued by specific demographics, and provides best practices for leveraging vehicle tech as a marketing and sales tool. Safety Tech features are highly popular, ranking in the top three in both the Top 10 Most Familiar and Must-Have lists. However, Driver Aid & Connectivity Tech (e.g., navigation, Bluetooth, etc.) features are also prominent because consumers feel a strong need to stay connected and desire access to music and apps on their smartphones. OEMs and dealers should prominently promote these features. Consumers are willing to spend more on Safety Tech features with autonomous functionality, such as collision avoidance and warning systems. While most consumers would prefer to learn about tech features on their own, it is still critical to have product specialists in the showroom who can illustrate the operation and usefulness of tech features. Since 31% of millennials and 61% of older generations say that the test drive doesn’t offer enough time to master vehicle tech,6 OEMs and dealers should consider offering additional learning sessions to consumers who want extra guidance. This additional support system can motivate hesitant consumers to invest in a more sophisticated vehicle. 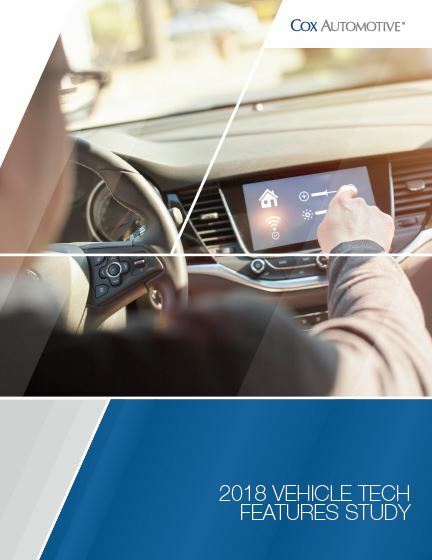 Download the full study to learn the vehicle tech preferences of different demographics and discover best practices for using vehicle tech as a marketing and sales tool.